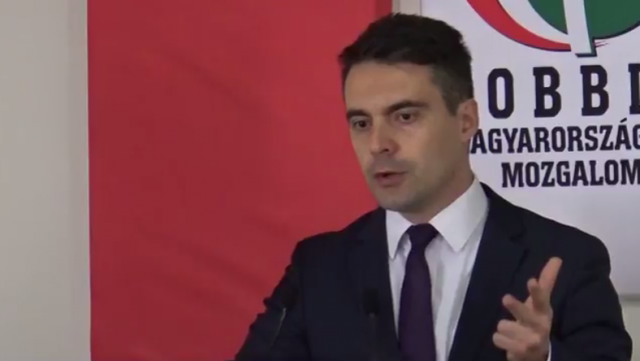 Hungary – Gábor Vona, president of the Hungarian populist party Jobbik, wants to organize a proposed citizen’s initiative to harmonize wages within the European Union. On December 18, Gábor Vona, president of Jobbik — the right-wing populist party and the country’s second largest political force after center-right Fidesz of Viktor Orbán — said he wanted to organize a proposed citizen’s initiative to harmonize wages at the level of the European Union. “Equal pay for equal work!” said the president of Jobbik. The president of the populist party believes that a “European union of wages” is morally just, legally feasible and economically useful. He then recalled that in order for the proposal to be considered by the European Commission, one million signatures had to be collected from seven member countries. Mr Vona justified this approach by recalling that in 2004 the Hungarians had joined the European Union with social and living standards improvement expectations, and that instead of this, the gap had widened further. According to Jobbik, prices have reached a European level, but not wages, as the Western European countries have strongly supported the interests of their companies during enlargement of the EU. This speech by Jobbik, the country’s second largest political force, is part of the campaign for the 2018 elections. Some political observers believe that the campaign began with the conflict over the constitutional amendment related to the quotas of migrants. And if the campaign starts so early, it is only because the Jobbik, Viktor Orbán’s only serious challenger, has much to do to close his gap with the ruling Fidesz.